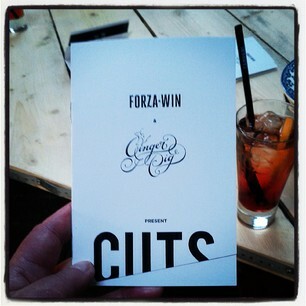 Last night I was lucky enough to go the the press launch night for CUTS, the collaboration between Forza Win and The Ginger Pig. 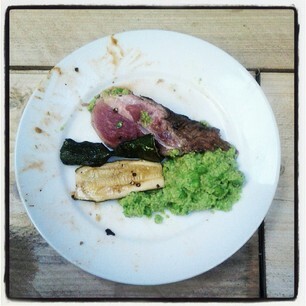 3rd course: 80 day aged longhornn beef rump - I never wanted this to end! 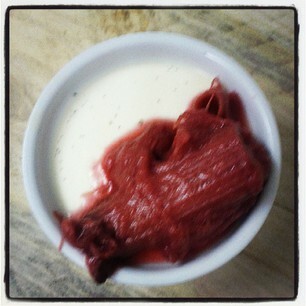 & to finish: The lavender panna cotta dessert with rhubarb. 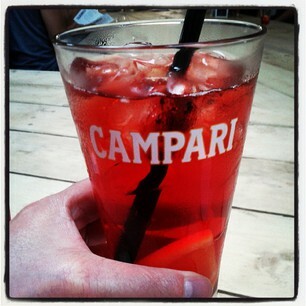 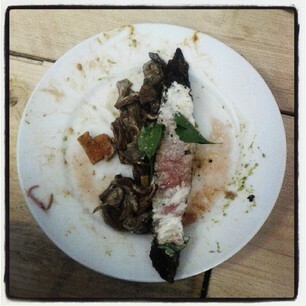 Apologies for the slightly blurry image - after a night of campari and wine there had to be some casualties. 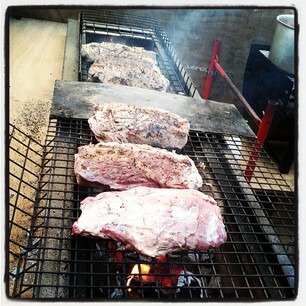 It's a great concept - well reared meat, simply cooked over fire - and it works incredibly well. 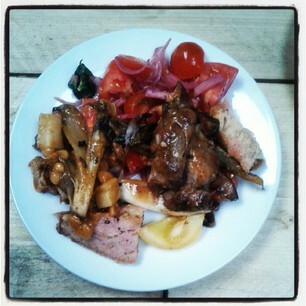 The 3 month run is about 75% sold out already, so if you want to go please book soon!